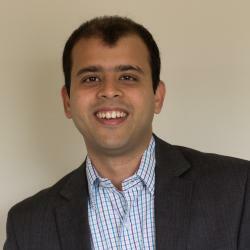 Saurabh is an Assistant Professor at the University of Oregon’s School of Planning, Public Policy and Management. His research focuses on entrepreneurial accelerators, social entrepreneurship, impact investing, and entrepreneurial ecosystems. He previously worked at the Aspen Institute, where he led the research initiative of the Aspen Network of Development Entrepreneurs (ANDE) program. At ANDE, Saurabh helped establish the Global Accelerator Learning Initiative (GALI), a public-private partnership to study the effectiveness of entrepreneurial acceleration programs. Saurabh received his PhD in Public Policy and Administration from the Trachtenberg School at George Washington University in 2015. Originally from Mumbai, Saurabh has a bachelor’s degree in electronics engineering from the University of Mumbai.